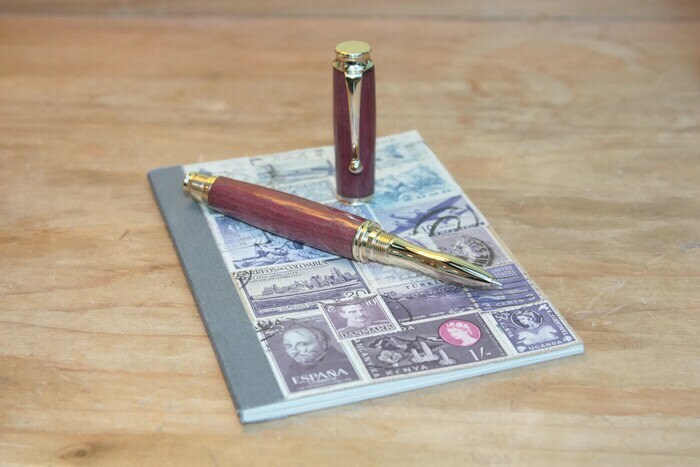 Handmade wooden rollerball pen in Purpleheart Wood. 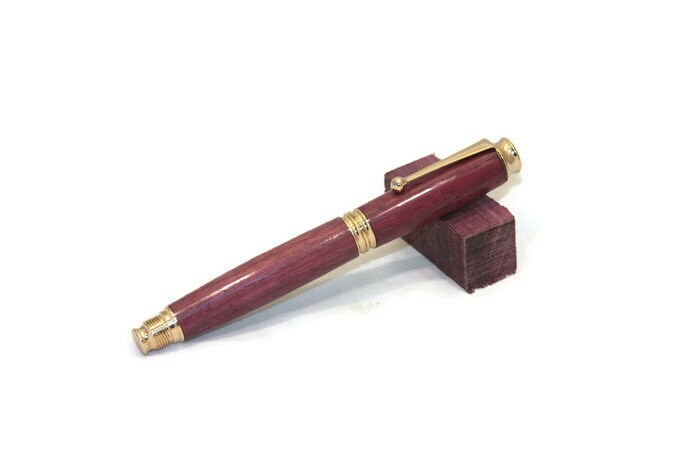 - Handmade rollerball pen in purpleheart wood. 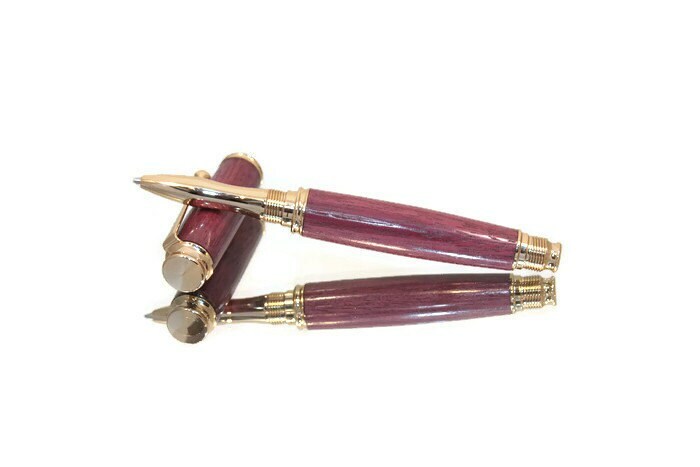 - This is a posted rollerball pen (i.e. 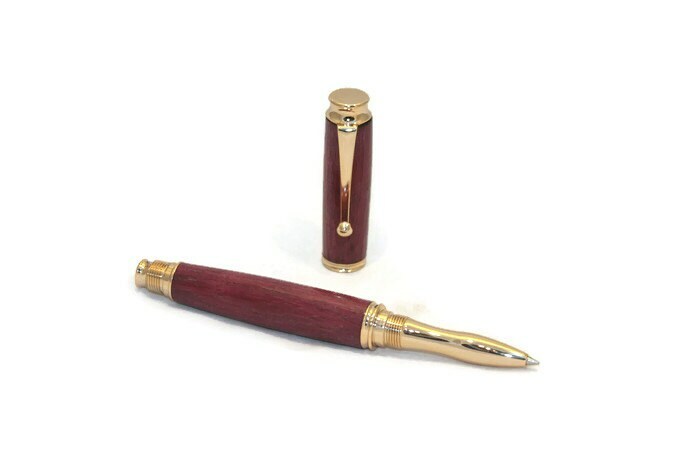 the screw-on cap can be screwed on to the top of the barrel of the pen whilst in use). - The pen takes a replaceable ink refill and comes with one in black ink. 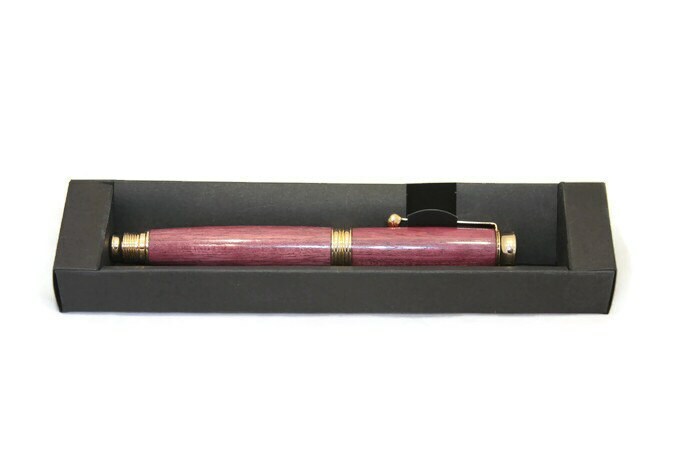 - The pen will come securely wrapped and in a lovely black cardboard presentation gift box. This is beautiful! It balances on my large hands as well as my daughter's small ones thanks to the design of the fore portion of the pen. The wood is lovely, with a smooth, sensual finish. It's amazing to hold such history and heritage in one's hands. Beautifully made, prompt delivery, easily available refills.